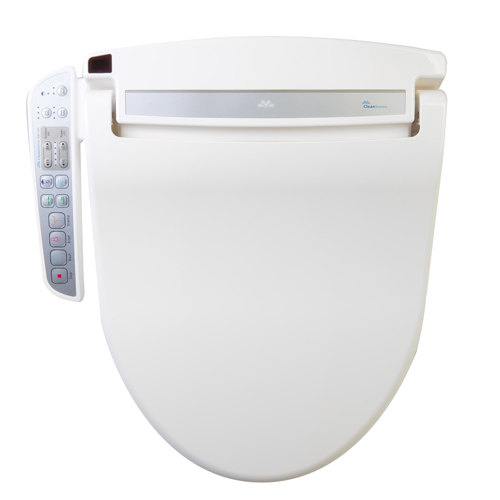 The Clean Sense dib-1500R bidet seat is packed with many features previously only offered on the high-end models. 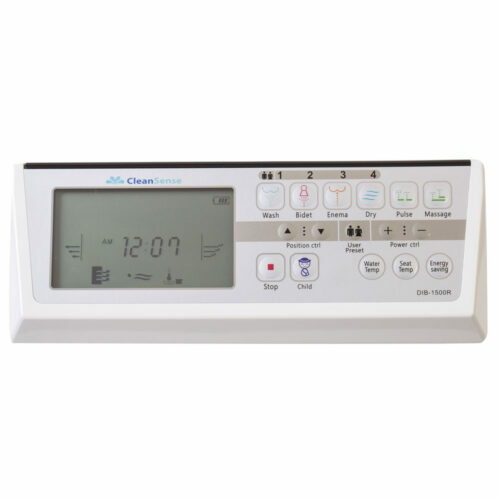 One of the most requested features in a bidet toilet seat are programmable memory buttons on the LCD remote, one for every member of the family (up to four). Create your perfect washing experience, fine-tune the settings; temperature, pressure, position, etc. and save it to your own button. The energy efficient On-Demand Water Heating System ensures continuous warm water for comfortable cleansing for man, woman and child. 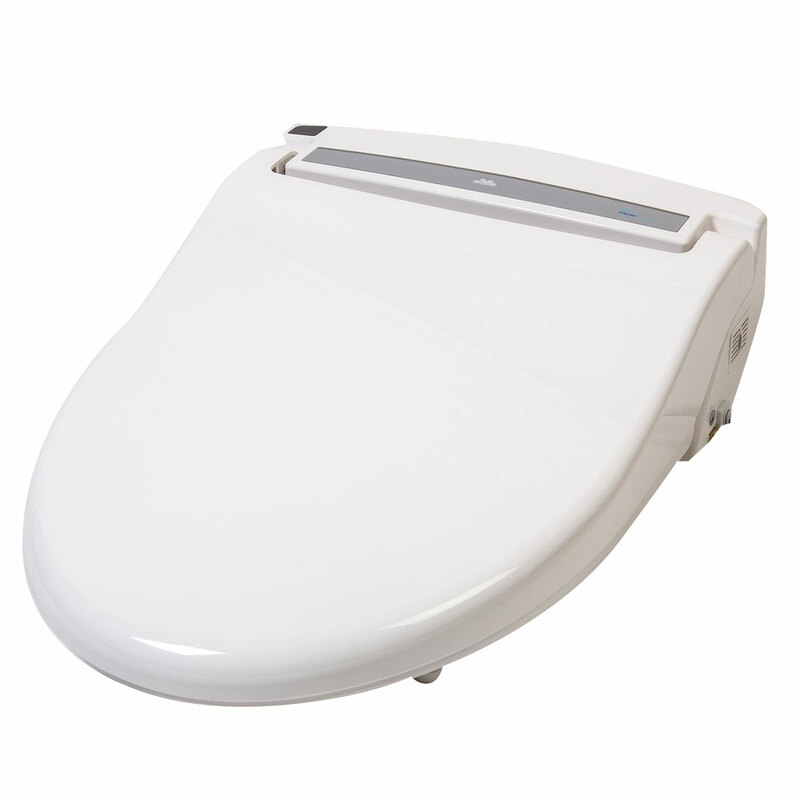 In addition to its great features, this unit is durable and attractive in its design, featuring a new brighter white finish. 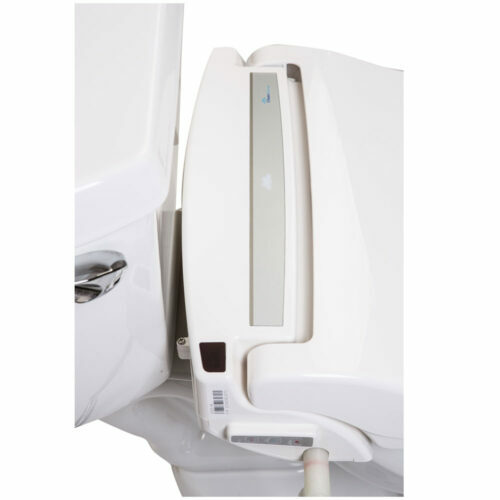 The Clean Sense dib-1500R bidet seat is one of the best value bidets on the market and is packed with features like 4 customizable user presets, a wide range of settings and a wireless remote control with LCD screen. Clean Sense has been taking on much more expensive rivals and cleaning their clocks for over 10 years! 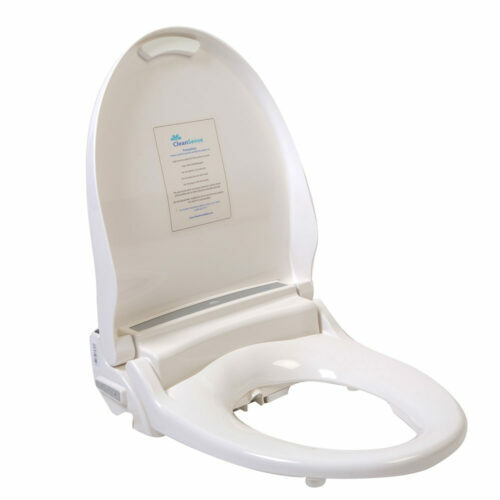 Tens of thousands of Clean Sense are in use today and it has proven itself as a hard working, fully featured bidet seat. 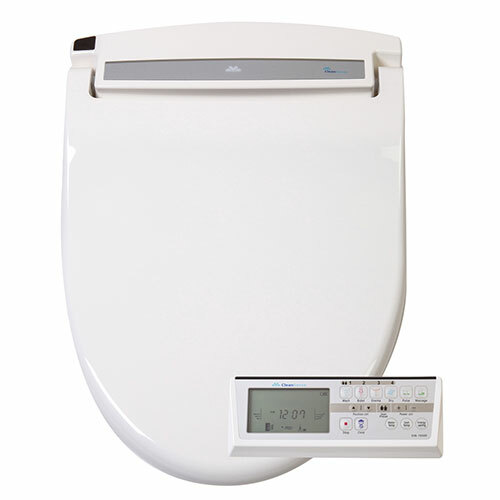 The Clean Sense dib-1500R offers an unparalleled value with its combination of luxury features, sleek design, and durability. 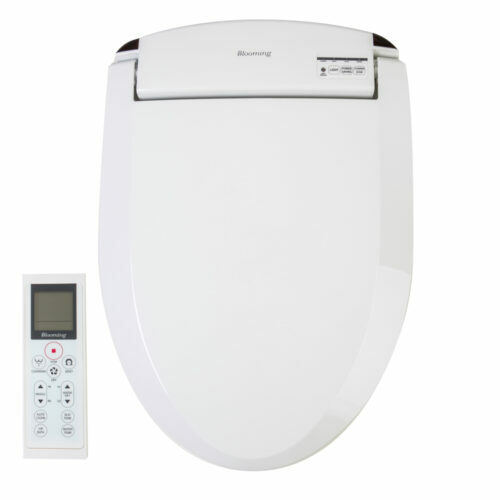 The Clean Sense 1500R utilizes an Advanced Hybrid Water Heating System for an endless supply of warm water. This makes the Clean Sense line the most energy efficient bidet seat available on the market today. 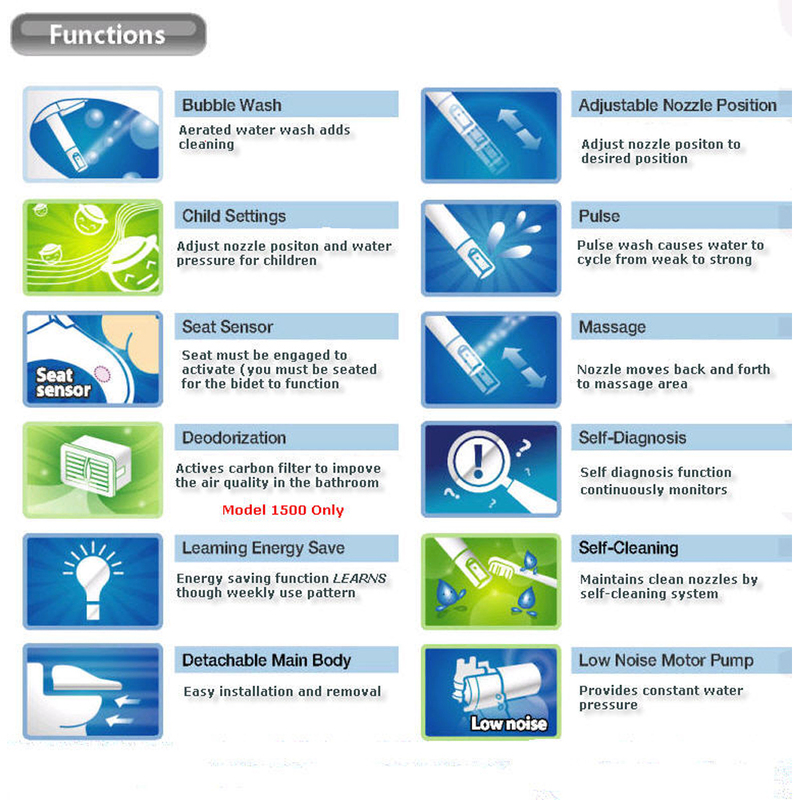 Some of the unique features of the Clean Sense dib-1500R bidet seat are the user programmable “memory” buttons allowing each member of your household to experience clean in their own preferred manner. The hot/cold seat indicator light tells you in advance that the seat is warm…or not, thereby eliminating a nasty surprise when you first sit down. 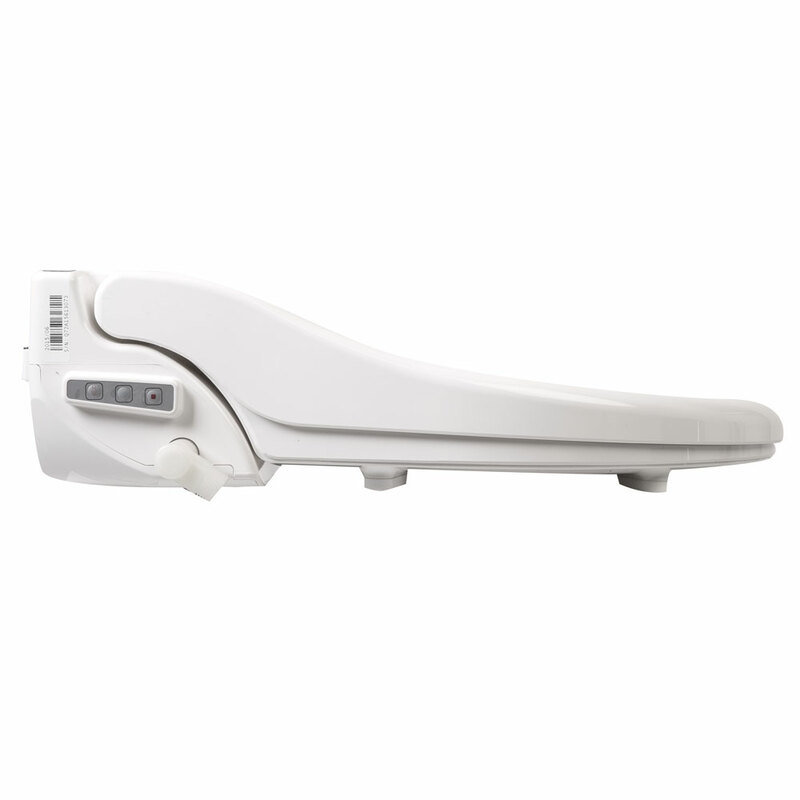 Clean Sense dib-1500 bidet seats offer a highly effective enema setting to “help get things moving”. 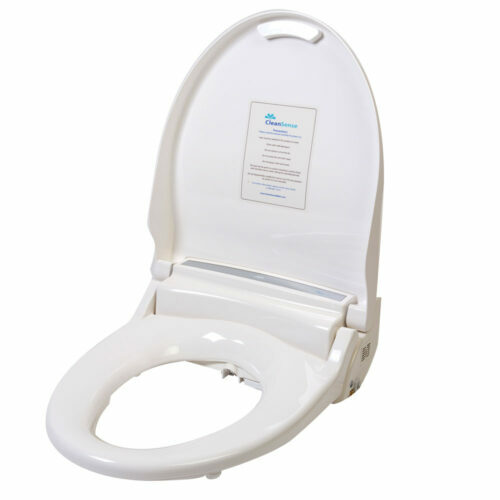 The dib-1500R has all the features and functionality of bidets that cost upwards of $600 including – Adjustable Nozzle Position, Seat Sensor, Seat Warmer, User Presets, Self-Diagnosis, Smart Energy Saver, Detachable Main Body for Cleaning, Low Noise Motor Pump, Warm Air Dry, Deodorization, Enema Wash, Child Settings, Pulse, and Massage Modes. 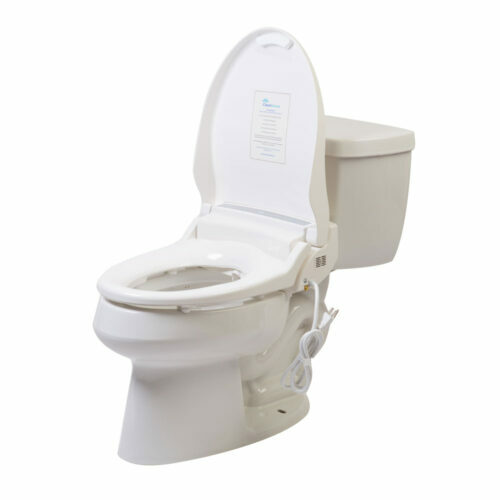 This model comes in white only and fits most 1 and 2pc toilets. 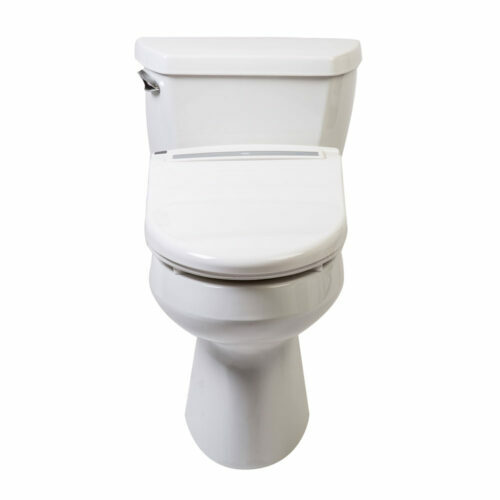 Please give us a call if you have an older Kohler one-piece toilet as these can be challenging. Pricing has come down considerably on this model due to the economies of scale but we expect them to start going back up as this bidet seat is worth much more!!! This product works great and my family love it. Bob is very helpful in handling my purchase transaction. Highly recommended. My wife had extensive back surgery and now has flexibility issues. To alleviate that we ordered a comfort level toilet and bidet seat for it. After much research we settled on a Clean Sense DIB 1500R. It was easily installed and looks like a part of the fixture. On the third day the drying fan started being too warm before the cycle was completed. I looked for an adjustment in the users guide, but if it is there I overlooked it. So I contacted the company by email to ask if they could please tell me how the drying fan temperature could be adjusted. It was a three day holiday and I did not expect a reply for several days. Much to my surprise, I received a reply within the hour and was told a suggested solution and if that did not work the representative would respond as soon as he returned to work where the information could be found. I really did not expect a reply on a holiday. That is a very positive image for Clear Water Bidets to be so customer service oriented that a representative has emails routed to his home after hours so that a response is almost immediate. 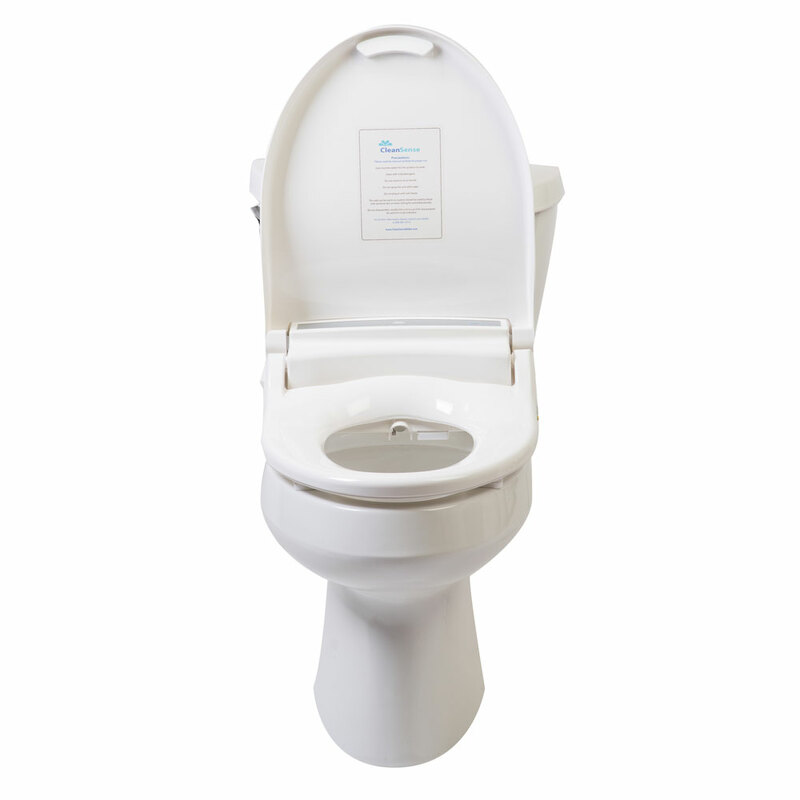 The suggestion worked and after a week we really like the product and will not be without a bidet from now on! 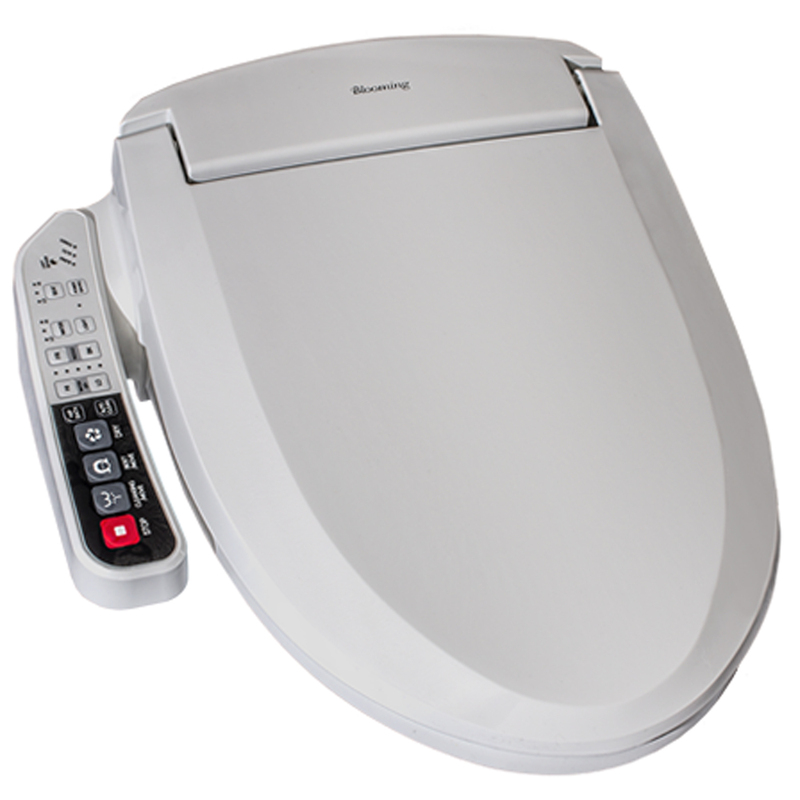 I received the Clean Sense dib 1500r bidet quickly after I ordered it, and while waiting, I asked Robert a few questions and he was very professional in answering those questions. 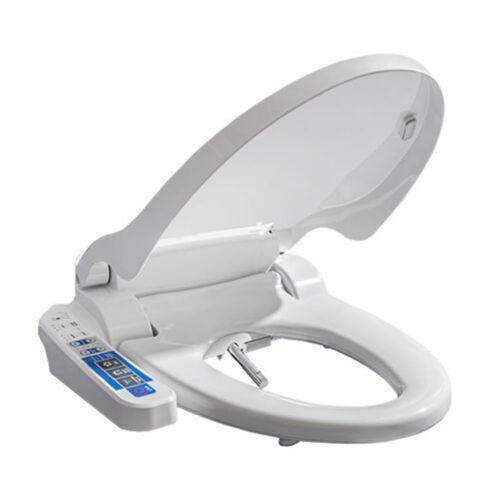 When I received the bidet, I had already cleaned the toilet good, and got the area around it prepared for the install. I had removed the original lid to the toilet, and had already installed a GFCI outlet in the bathroom for it. The install took me about 10 minutes. I was thinking, that’s it?… lol. It was too easy. Anyway, after the install, I had to sit on it to try it out. All the amazing functions worked properly and instantly. I was very impressed with the water temp being adjustable when you want, and the seat temp had to be turned down from my original setting, but ended up leaving it on room temp. I love how you can set presets and have it not heat up until you sit down. The sensor is great cause you cant accidentally spray the room, because you have to be seated during the performance! I look forward to the use of this for many years to come. The cleanliness and saving on toilet paper is well worth the money spent, which wasn’t much at all through Clear Water Bidets. Thank you very much Robert and family team for serving us as you have, and will. 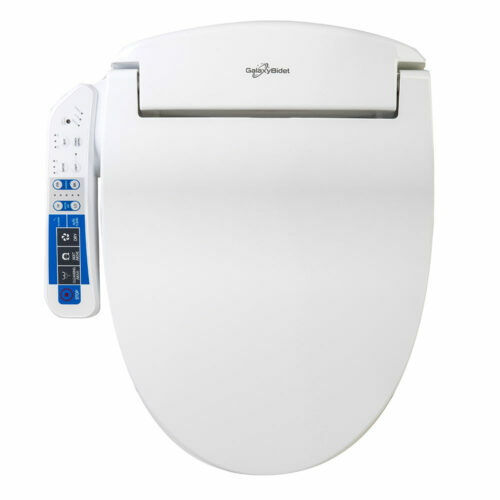 I was able to save about $200.00 buying from your site, and I almost forgot, I received 2 sediment filters, which protect the bidet from damage over time, and a travel bidet to use if we stay away from home. This was a bonus with the already low cost package. Thanks again, and God Bless! 5.0 out of 5 stars Great product..great features.. great price. Love it!! awesome product.. high end features with a great price.. this is just like the high end bidets in Japan.. This was a solid purchase. HIGHLY recommended. 2.0 out of 5 stars Bad unit out of the box. Just a bad unit? Bought the item, installed it, and it basically didn’t work. Two of the three types of spray just did nothing and the “wash” feature sprayed for about 1 second. Additionally, it just kept pouring hot water into the toilet due to some sort of valve next to the nozzle that failed to close. The only way it would stop was if I unplugged it. As soon as power was reapplied, water would start pouring out again. Bought this for my 84 year old mother. She says it’s the best thing I’ve ever bought her….and I’ve bought her plenty of things, so that’s high praise. 5.0 out of 5 stars The Mercedes of Smart Toilet Seat. We were on vacation and our hotel room had one of these installed. It will bring cleanliness to the next level. The product itself is high-tech. 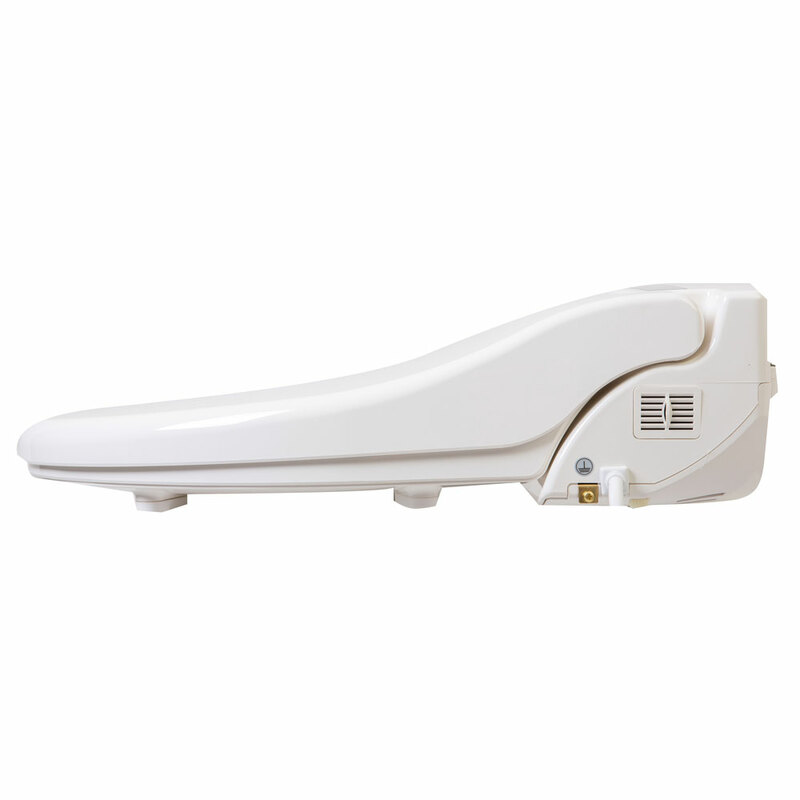 It has memory setting for 4 users as the position of the spray is different for different sized user. I am 200+ lbs, wife is 110 lbs and we have our own setting saved. 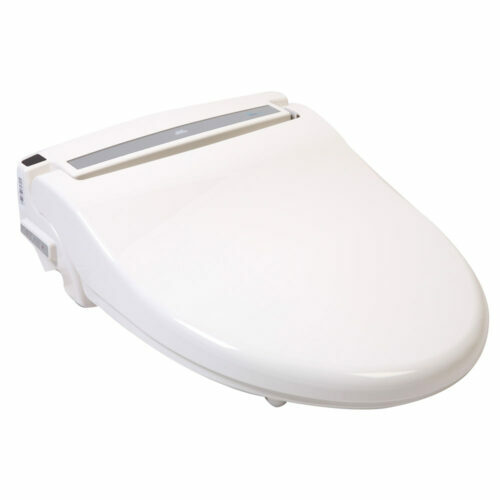 It is very nice in the middle of winter to sit down on a warmed seat and the cleaning features is great, less paper used is better for septic tanks and for women’s cleaning needs, it can’t be beat. My wife hates to go into the shower a few times a day when that monthly visitor comes. She absolutely love this improvement on our bathroom. Installation is a breeze, it took 20 minutes to install and all plumbing hardware was included in the package to T off the waterline, the wall mounted (via double back tape) is battery powered and it came with Duracell batteries, nice touch on better quality batteries. The only thing left to worry about is the 110VAC required the 110VAC. Right now I have it powered via 25′ extension cord just to make sure it works before I splice into our wall switch and install a 110VAC receptacle. We bought the elongated version and it does reduce the seat opening a bit. Still not a problem unless you are closer to 250-300 lbs when I imagine your “man parts” may not fit well within the opening of the seat perhaps. I did read elsewhere that this is a problem with the round opening version of this seat. 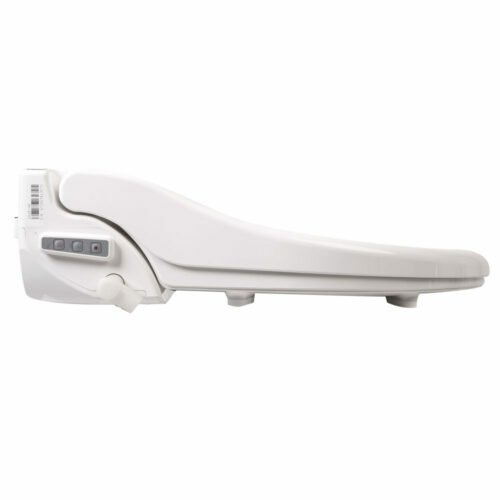 We did use this style seat on vacation at our hotel so fit function was already confirmed before we buy and besides the 110VAC source, there is absolutely no issue for us with this product, this purchase. You can’t go wrong and the quality build, the functionality and the programmable controller with user preset memory can’t be beat. I akin this purchase to our Mercedes GL450 with its preset for us as drivers. Used now for two weeks. Looked strange at first, now part of a classy decor. Installation did involve a plumber, a sensible precaution as I am all thumbs and the water intake pipe was too long, rigid and needed to be replaced. Apart from a clean job after the ‘go’, it’s a definite plus for anyone having had rectal surgery and resulting scar tissue. Much less abrasive wiping needed, and no irritating soaps. Don’t worry about the dim screen, I use only the soft touch buttons after the initial set up. Definitely recommend the product. Works pretty well. Unlimited warm water is good, but I just wish it was a little bit warmer. 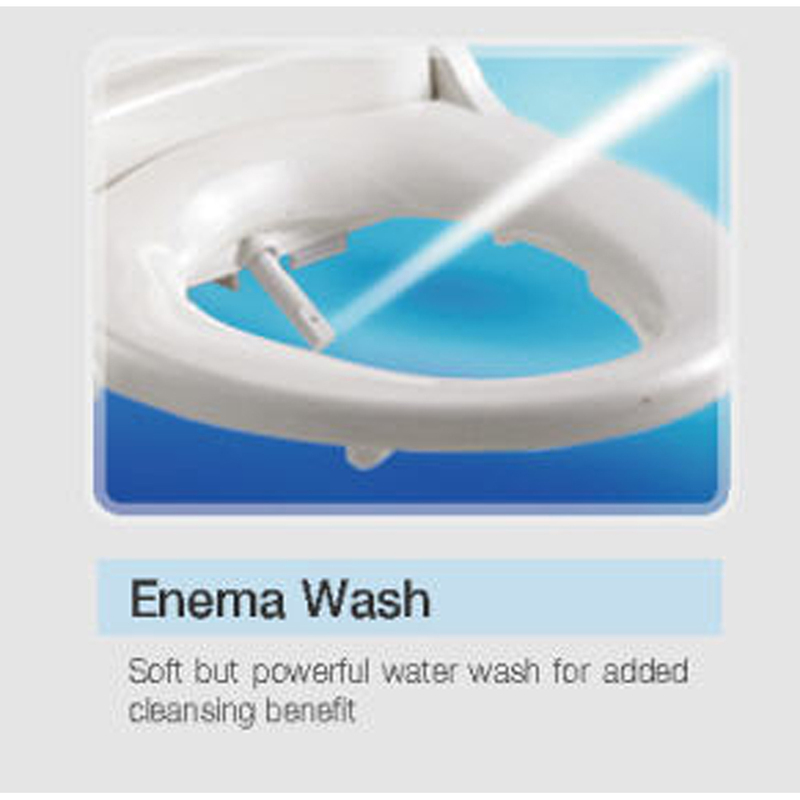 Enema function is just a strong stream that plain hurts. Digital remote control would GREATLY benefit from being backlit b/c display can be hard to read. Product photos kind of inadequate, so i shared mine. 5.0 out of 5 stars It’s so warm, easy,and breezy. 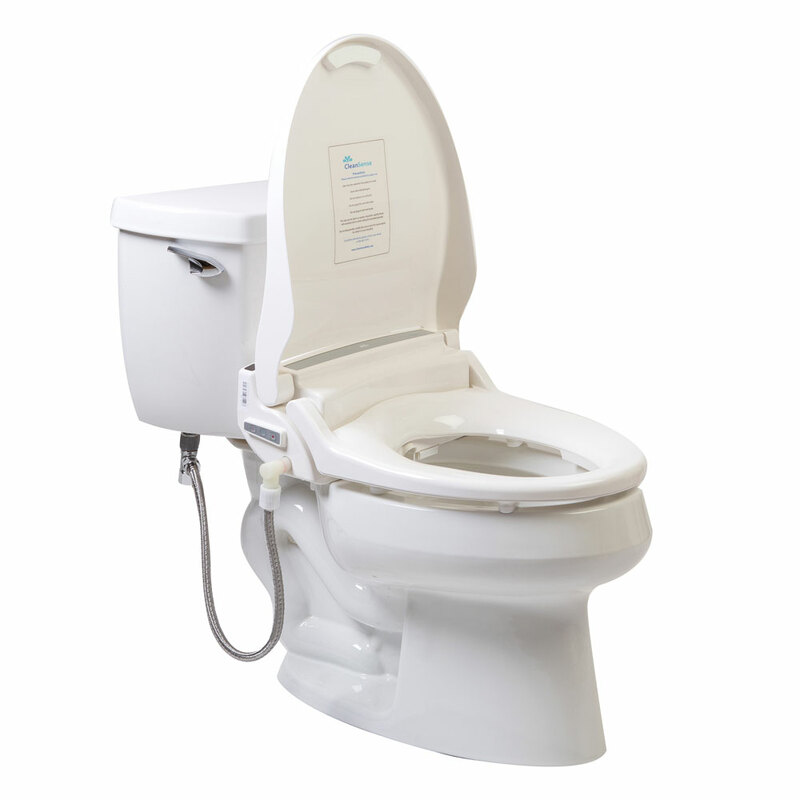 Quite frankly I don’t know how I’ve lived without a Bidet Seat. Well worth the investment. People buy leather cooled / heated power seats in their cars. Those same people should put that comfort in their homes. For all to enjoy. Now that’s class!